Students include Ralph Powers, William Kuhn, Hester Flint, Henry Lusardi and Irene Tassell. In 1964, as Poway was rapidly evolving of isolated town to growing suburb, a group of self-styled “Old Powegians” got together to form the Poway Historical and Memorial Society to preserve memories of a past they feared would soon be lost. Today, the Society has a museum in Old Poway Park, to share memories with newcomers and new generations, and a growing archive of images, documents and memorabilia from Poway’s colorful past. 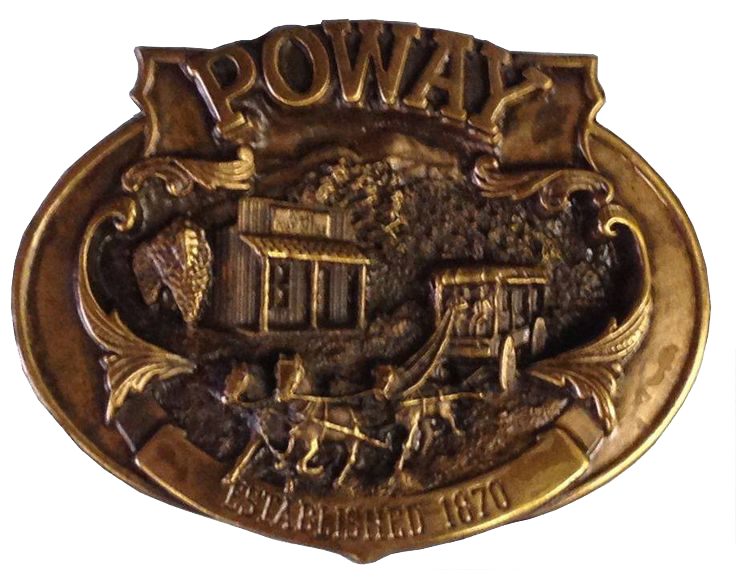 Acooperative effort between the City of Poway and the PHMS, a museum facility has been established in Old Poway Park on Midland Road. We have a railroad that runs through the park, the Nelson House (a replica of an old pioneer house), I.O.G.T. Hall (Independent Order of Good Templars 1881), blacksmith shop, and other facilities used for social events. All work in the park is done by dedicated volunteers preserving Poway’s unique heritage.